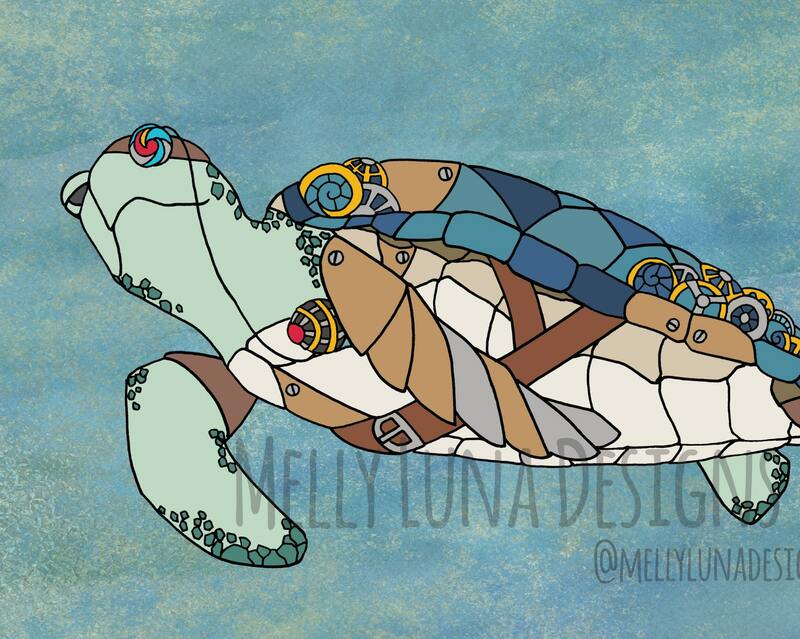 Original artwork inspired by Steampunk and my spirit animal, the Sea Turtle. 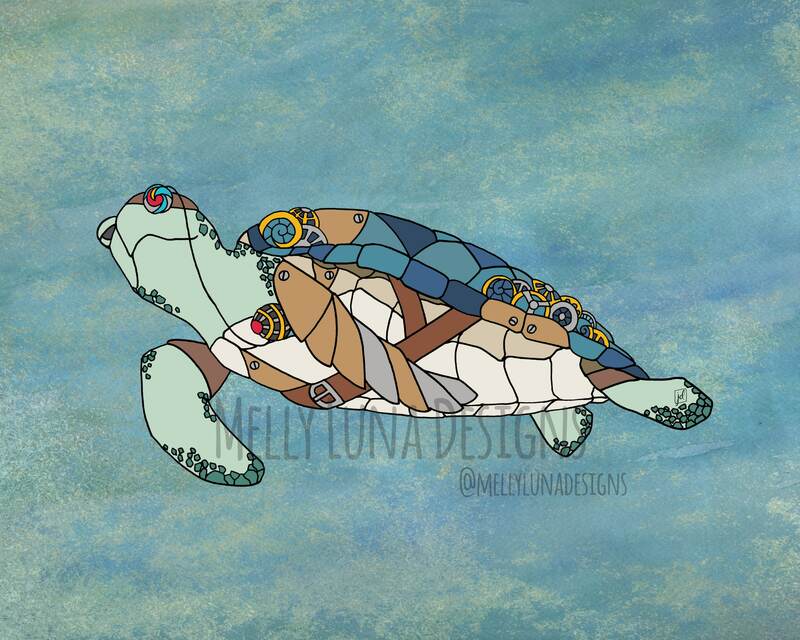 He has some mechanical parts, but just keeps swimming. The print has a slight border as it was printed (and centered) on the 8.5” x 11.” You'll receive the print only — it does not include a mat or frame. Each print comes in a clear plastic bag and shipped in a photo mailer to keep from the print from getting bent.